DSW broke through to the top 25 in this year’s Index after placing 26th in 2017. The brand improved across key digital channels and is now testing a wholly new strategy to the in-store experience. To reinvigorate sales – and its 25 million member-strong loyalty program – the brand has launched a more full-service approach to in-store retail including a concierge for shoe repair, a nail salon to truly complete the look, and connecting sales associates in its “warehouses” (aka stores) with tablets so they can access customer profiles, personalized recommendations, offers/discounts, and more. A new approach to events rounds out the in-store strategy, while the loyalty program receives an additional refresh with the help of philanthropic initiatives designed to create loyalty through shared social impact. 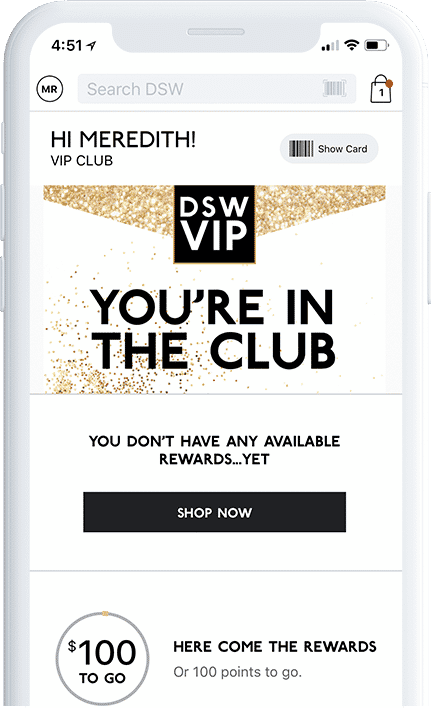 DSW keeps track of everything on every platform, including the mobile app, which organizes rewards points, recommendations and starred items. When a customer walks into a brick-and-mortar store, DSW uses beacon technology to unlock rewards and product recommendations from sales associates. DSW earns plenty of loyalty in exchange for DSW VIP, a robust rewards program which boasts more realistic milestones than average. Spending $500 a year qualifies a customer as elite, earning perks such as extra points and early access, free expedited shipping and a birthday gift. 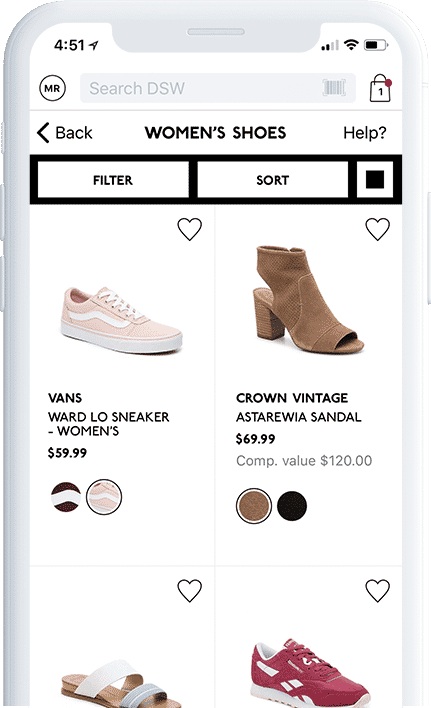 DSW’s inventory is seemingly endless, but the brand keeps shoppers from feeling overwhelmed with a rich in-app message center. 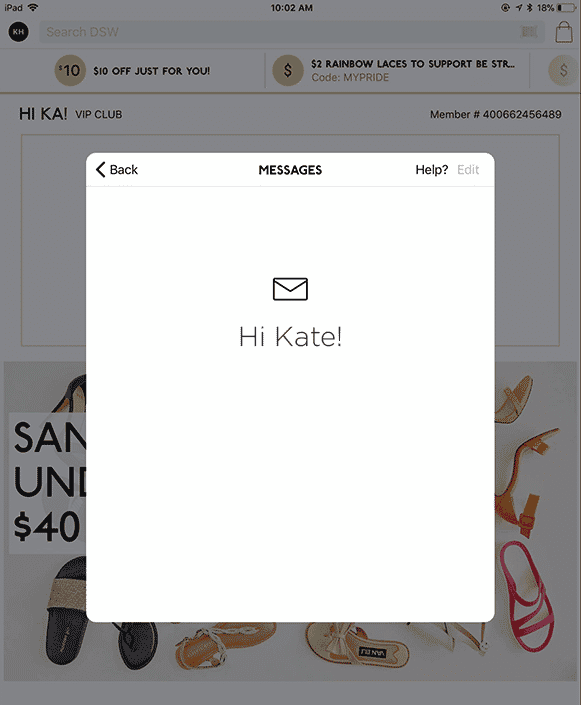 DSW keeps app users engaged with personalized messages, as well as up-to-date communications about relevant discounts. How Do Mobile Devices Factor Into the Future of In-Store Personalization?